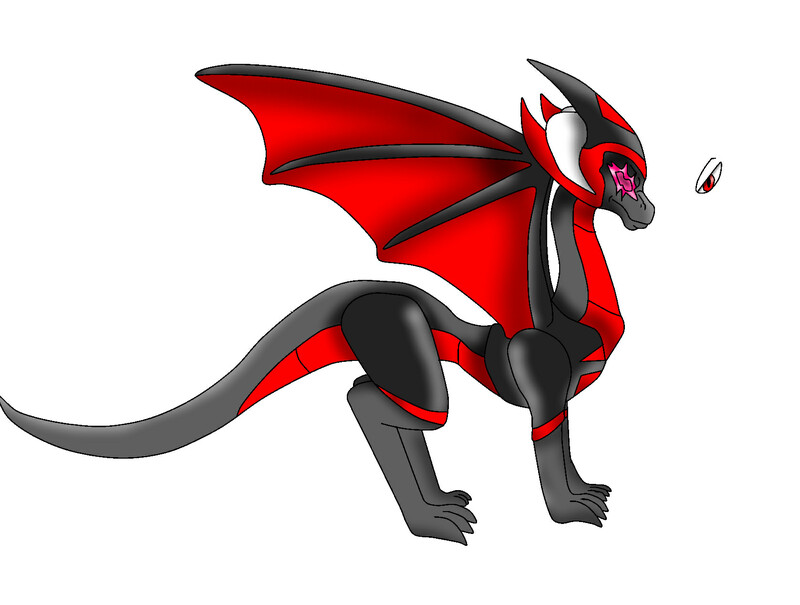 info; Winmore used to be an Angel dragon be for he was changed forever it all started when he was 10 he was never a happy kid he was mean and cruel he hated the go happy smile everyone pulls his annoyed level gets higher and higher until he was the age of 20 he snaps and attacks a dragoness and killed her he looked down at her body and looking at her wings he had a need to devour her feathers he was relentless as he eats them and after taking the final gulp a surge of power shot throw his body bulking up his muscles and his feathers dropped off to reveal red wings and his colour went dull and what used to be yellow became blood red upon opening his eyes to reveal the cold blood lustful red in them soon he went on a rampage killing random dragons and devouring their wings which Made Moonbeam and her guard react and come down to stop him a battle ensued and ended in Winmore defeat and his mind was wiped and cast out and Winmore went to a mountain near active volcanos and called the place Fallen wings he was soon in company as the dragon he killed came to him and thy were like him as he laughs and shouts out loud ( I AS LORD OF ALL FALLEN ANGEL DRAGONS I STATE FOREVER MORE THE STRONG STANDS TALL THE WEAK WILL NEAL FOREVER MORE AND I WILL FIND THE ANGEL DRAGON'S HOMELAND ONES AGAIN AND I WILL MAKE THE ANGEL DRAGON QUEEN SUBMIT TO ME!) and the other fallen angel dragons cheer and then on the Threat of the Fallen angel's commented. note 1; winmore has 3 angel dragons in his dungeon to do experiments. note 2; his first prey was a Mopear settlement kidnapping them all and having them be their slaves to his Fallen angel dragon race. note 3; Winmore is Addicted to the mopear medicine. note 4; he has 2 personal Mopear slaves.